Fish flies, commonly known as mayflies, can appear in large numbers during the spring. Although mayflies are only around for a few weeks, they can appear in numbers large enough to create swarms and are often a nuisance for those who live near water. Unfortunately, there is no effective way to control the mayfly populations. Because they spend most of their lives in the water, attempting to subdue mayflies with insecticides would contaminate fish and water. Although there is no way to eliminate mayflies permanently, there are a few things you can do to minimize your interaction with these pesky creatures. Mayflies are small flying insects that spend their short adult life out of water. Avoid getting too close to the water during mayfly season, if possible. The easiest way to avoid mayflies is to simply avoid waterfront property during the times when the flies are active. 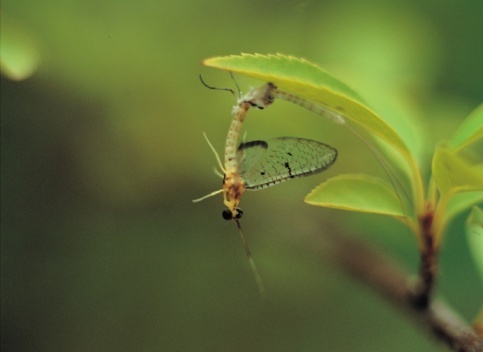 As their name suggests, mayflies are often active in May although some areas may notice the reappearance of mayflies a bit later in the season. 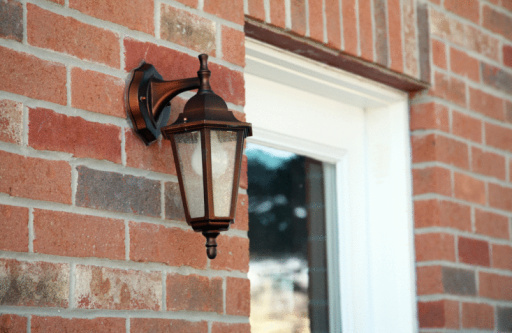 Install yellow light bulbs in outdoor lighting fixtures. Mayflies are far less attracted to yellow light than white and will be less likely to swarm around your outdoor lights if they are yellow. Businesses should switch from mercury vapor to sodium vapor outdoor lighting to reduce mayfly attraction. Check your windows. Even when using outdoor lighting designed to minimize insect attraction, mayflies may still be attracted to a home if the windows emit too much white light from inside. Make sure blinds and curtains are closed tightly at night during mayfly season and leave lights off in empty rooms. Blow bugs away. Mayflies that have congregated on a wall or sidewalk can be swept away using a leaf blower. Wait. Although large swarms of mayflies are unpleasant, mayfly season typically lasts for only four to six weeks. Since insecticides are largely ineffective, patience may be the best weapon in your mayfly arsenal.